There are a variety of mobile parental control apps on the market, so which one is the best? Why should I choose PhoneSheriff over the rest? 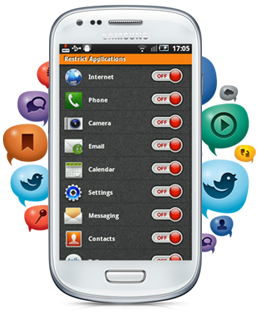 PhoneSheriff is a choice mobile monitoring software for so many reasons. Users who have this system all agree that PhoneSheriff provides numerous advanced features that leaves no stone left unturned. That means there is nothing this app can’t monitor. PhoneSheriff was the first parental control app to support Windows Mobile, iPhone, and Android platforms. They have high standards, and provide their customers with the most advanced technology possible. PhonSheriff has gained numerous media appearances in magazines, radio, and web sites all around the world. If that isn’t enough reason to choose this monitoring system for all your needs, then here are some more. This software believes in ensuring high quality to their customers. Their support team is ready to help with any questions that you may have. The support team is located in the USA, and they are ready to help step you through any problems you may encounter. PhoneSheriff believes in protecting their customer’s private information. None of your information will be available for outside sources to access. This software uses an online control panel to keep all logs in, and you are the only one who has access to it. The control panel is password protected, and very secure. No hidden SMS forwarding costs. Block any number that you do not approve of. Set up time frames that the phone and its features can be used. Record all messaging that is sent or received. Log all call information and the duration of each call. Send commands from a remote location. Do a complete data wipe out. Access logs from any internet ready device. Ability to block apps and websites.